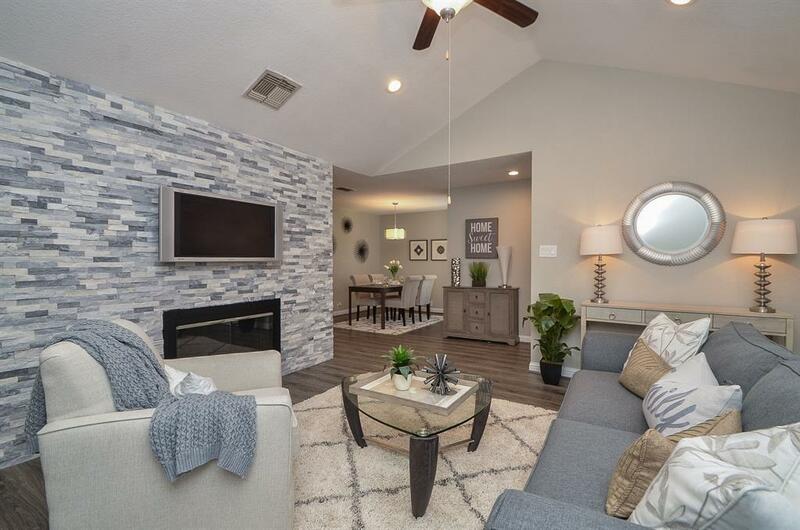 Elegantly remodeled, all new floors, glass tile accent wall around fireplace, bathrooms, paint, lighting cabinets, hardware. 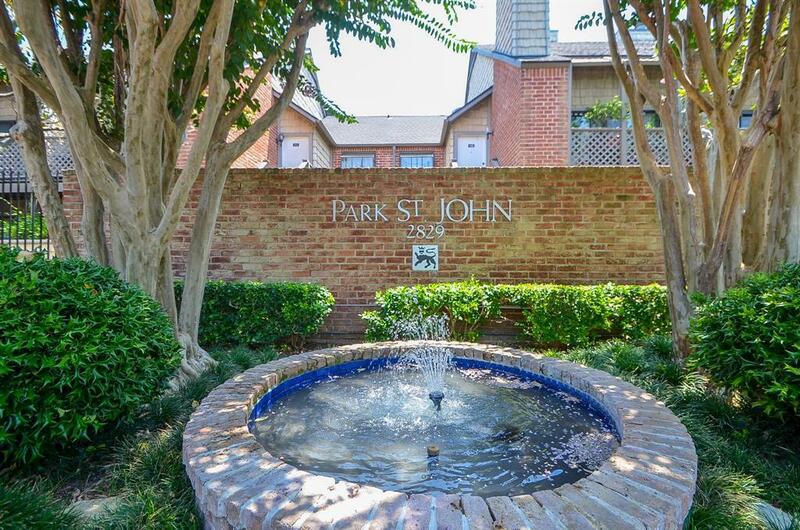 This spacious 2 bedroom, 2 bath condo is beautiful! 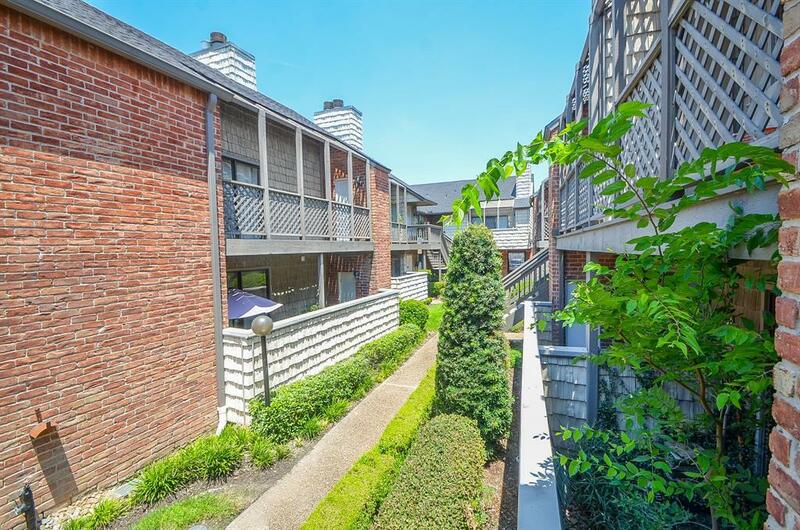 Centrally located, adjacent to the Briar Club on Timmons Lane in a quiet 115-unit lush courtyard complex with a gated entry. Fabulous! Granite counters throughout, with glass tile backsplash in the kitchen and bar. All appliances included! Gorgeous wood-grain commercial-grade, long-life warranty laminate flooring throughout living and bedrooms with tile in baths. 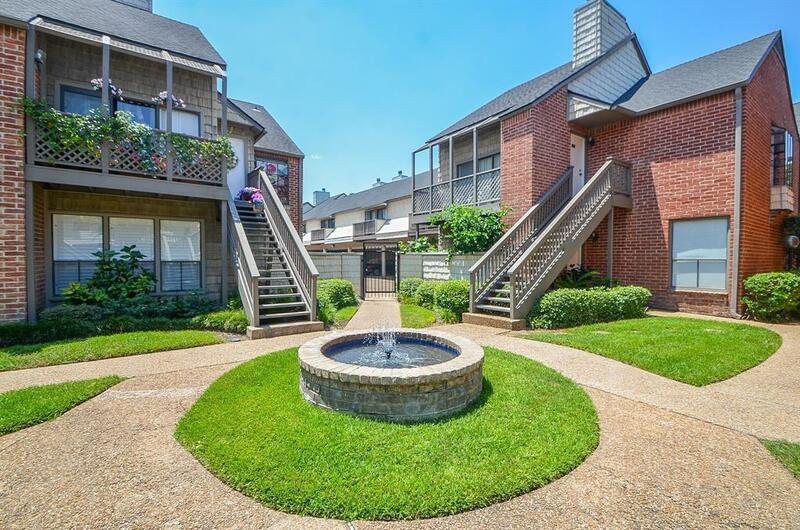 Close to Highland Village, The Galleria, the new River Oaks Shopping District and Memorial Park.